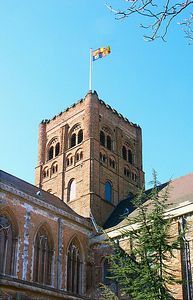 The Cathedral and Abbey Church of Saint Alban is the seat of the Bishop of St Albans and serves the Diocese of St Albans in the counties of Hertfordshire, Bedfordshire, the Borough of Luton and the London Borough of Barnet. 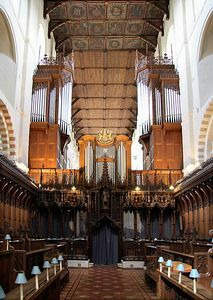 The Cathedral is also a parish church with a large and active congregation. 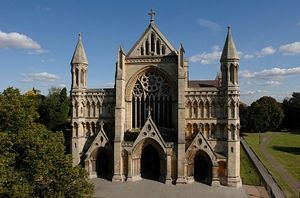 The cathedral is built on what is believed to be the site of the martyrdom of St Alban. The hill upon which it stands overlooks the valley of the river Ver, beyond which lie the buried ruins of the Roman city of Verulamium. Even today Roman bricks form part of the fabric of the present Cathedral. shrine of St Alban, a Roman Citizen who was put to death because of his faith in Christ. The shrine is documented from early times, it is recorded that St Germanus of Auxerre visited the site in 429. Early in the 8th century Bede wrote of the beautiful Church worthy of all Alban's martyrdom where miracles of healing took place. The shrine is a site of national pilgrimage and is used as a place of prayer and meditation by visitors every day. 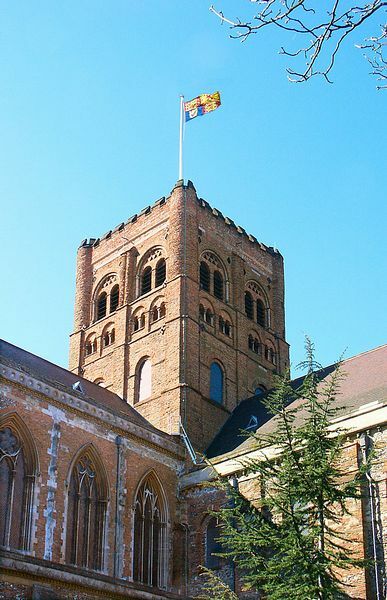 Each year on the Saturday closest St Alban's Day (22nd June), pilgrims from all parts of Britain and beyond gather in the city that bears his name, to celebrate a Patron Saint of our Isles, and to remember in prayer those who are persecuted and killed because of their faith. The Cathedral is situated in the centre of the historic city of St Albans. Car and coach parking is available at Westminster Lodge, south of the cathedral.